This one-piece MEDIUM LIGHT POWER, FAST ACTION spinning rod is designed for stream and small river trout or casting spinners, jigs and crankbaits for smallmouth and walleye. 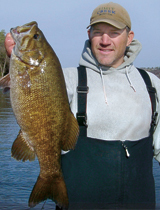 It provides a sensitive tip for vertical jigging walleye, yet it has enough backbone for setting the hook and battling a big brown trout or a hard fighting smallmouth bass. Its length works well for fishing out of a canoe in the BWCA, a small river, walking your favorite stream, or angling from a boat. Made with: High modulus graphite rod blank, Dynaflow stainless steel guides and tip, high grade cork and graphite reel seat. This one-piece MEDIUM POWER, EXTRA FAST ACTION rod is designed for sensitive, quick response fishing for trout, smallmouth bass, panfish and walleye. This multi-purpose spinning rod excels at casting jigs, spinners and small crankbaits. It has enough tip speed for jigging panfish or live bait rigging. 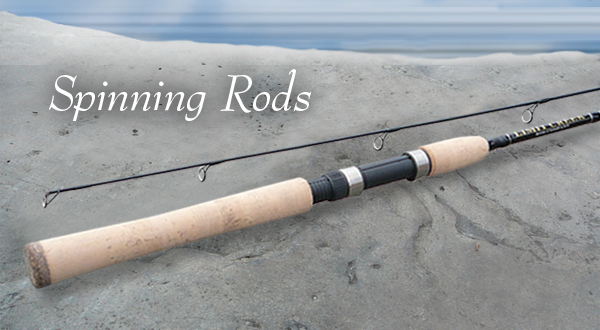 Its length makes it a great packing rod for a long walk along the stream or fishing from a canoe or boat. Made with: High modulus graphite rod blank, Dynaflow guides and tip, high grade cork and graphite reel seat. This one-piece LIGHT POWER, FAST ACTION spinning rod is designed specifically for stream trout and crappie/panfishing. 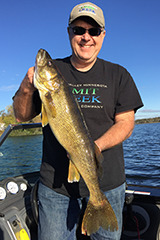 This mutli-purpose rod excels at spinner and live bait fishing for trout as well as slip bobbering, jigging plastics or live bait rigging for crappies. A soft tip ensures hook sets on the soft mouths of crappies, yet it is sensitive and response enough for fast-slashing stream trout. This 6'6" MEDIUM POWER, FAST ACTION high modulus graphite spinning rod. For walleye, the LCS66MF is designed to vertical jig, cast jigs and cast crankbaits. For bass slow fish Carolina rigs with soft plastics, jerkbaits, drop shot, and swim jigs. As it is strong and sensitive, there isn't much it won't do. Made with: High modulus graphite rod blank, Dynaflow stainless steel guides and tip, high grade cork, and graphite reel seat. The 6'9" "Smoothie" is a MEDIUM LIGHT POWER, FAST ACTION high modulus graphite spinning rod, and is so sensitive you'll feel every bite. A true walleye all purpose workhorse, it excels at live bait rigging, split shot rigging, casting light jigs, vertical jigging, and slip bobber fishing. 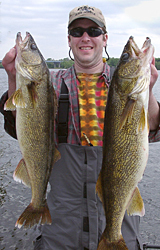 If you have a "go to" finesse walleye presentation our LCS69MLF is your "go to" rod. This spinning model is 8'3'', an extremely sensitive high modulus graphite MEDIUM LIGHT POWER rod with a FAST ACTION. The rod slides down in size to 6'4'', and extends back (the rod blank slides into the handle). No more headaches and tangles that come with setting up and taking down two-piece rods. This rod excels at driving hooks home when livebait rigging conditions call for long 8 to 16-foot leaders. Here the extra length creates more leverage due to a much larger hook sweep given by the 8'3'' length. You'll find the extra length makes landing fish far easier. This extra leverage makes hooking fish while slip bobber fishing easy — no more missed fish! Also it is fast becoming THE "go to" dragging jig rod on the Mississippi River. The LCSE83MLF is a great rod for spreading out the lines, as a deadstick. More lines, more fish.